You can change the default location on your account in the location section of your settings page. If you’d like to search for groups and events in a new area, you can do one-time searches on the Meetup homepage. Navigate to the location section of your settings page. Enter your country and city or ZIP Code. Tap Edit Profile or the Pencil. Tap on your current location. Search for your new location or select it from the list. Tap the Checkmark or Save. You can change your hometown in the location section of your settings page. Your hometown is visible on your profile in addition to your location as a way to let people know where you’re from if you’re traveling. Changing your hometown doesn’t affect your location or any recommendations for groups and events. You can change your default search distance in the interests section of your settings page. Navigate to the interests section of your settings page. In the “Add interests” section, adjust the search distance between 2 and 100 miles. If you’d like to change your city, ZIP Code, or postal code but don’t see it listed, submit a request to share the location information you'd like to be added. When an organizer schedules a new Meetup event, a photo album for that Meetup is created automatically. All group members can add photos to Meetup albums and can tag other group members in the photos. If a member has been tagged in a photo and prefers to remove the tag, they’re welcome to do so. Note: It is not currently possible to tag or untag photos from the Android or iOS apps or from the Mobile website. Members can only tag others and untag themselves from the Desktop website. Go to your group profile for the Meetup group and select Tagged Photos under your profile photo (You can also go directly to the album if you know which photos you’re tagged in). Choosing interests allows us to recommend Meetup groups that we think will interest you. Your interests are displayed on your profile by default but you can keep them private if you’d prefer. Head to your General Account Settings page. From the options on the left, select Privacy. Un-check the box next to "Show interests on profile." Tap on your circular Profile icon. Edit the slider labeled "Show interests on profile." Tap the Checkmark icon to save your preferences. Tap Save to update your preferences. More socially acceptable than a megaphone in a public space, and probably more effective: make your Meetup easy to find by sharing your location privately with other members when you arrive. Start a new message by tapping the + icon. Enter the names of the members you want to receive your location. Tap the pin icon to the left of the text box. Tap Share location to send your location. Enter the names of the members you want to receive your location then tap Done. Tap Share to send your location. Just like any Meetup message, only those members you choose will be able to see your shared location. Important Note about Group Conversations: if you share your location in a group conversation, anyone who joins the conversation later will still be able to see your shared location on the map. For your safety, it’s best to avoid using this tool when you are in a private location such as your home or workplace. Note: If you change the language on your account from desktop or mobile web, it will not change the settings on your Meetup app. We want Meetup to speak your language. Literally. Meetup is available in English, French, German, Italian, Japanese, Polish, Portuguese, Spanish, Korean, Dutch, Thai, Turkish, and Russian. Note: If you’re not logged in, you will still see different language options available in the drop-down menu. But changing the language from that view, without logging in, will not update your account settings. The language of your Meetup app is determined by the default language set on your mobile device. If your device is set to a language that is not currently supported by Meetup, English will be used as your account language. To learn more about changing the language of your mobile device, visit Apple support and Google support. There are all kinds of Meetup groups out there, and not all of them are ones you want to broadcast to the world. We get that, and it’s why we allow you to hide your list of Meetup groups from showing on your profile page. Keep in mind, your membership in a Meetup group may still be public, depending on the settings chosen by the Meetup organizer. If you’re interested, you can learn more about Meetup group visibility. Note: It’s currently only possible to add or edit your interests from your desktop and mobile web browser. Adding interests to your profile helps us recommend Meetup groups we think you’ll love. We never want to limit you in pursuing your passions or trying new things (quite the opposite, in fact), so we allow you to add as many interests as you’d like. 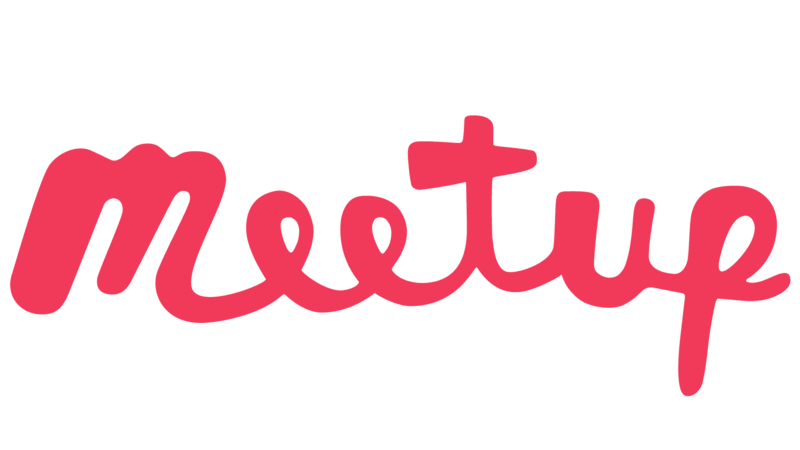 By default, your interests are displayed on your Meetup profile and on your individual Meetup group profiles. You can hide your interests from your Meetup profile if you don’t want them to be visible to others. To remove an interest on Desktop & Mobile Web, tap on the X icon next to the interest. In addition to your account's profile photo, you have a profile photo for each of the groups you join. If you don't set a profile photo for a group, your account profile photo will be used by default. When your group profile photos are set, changing your account profile photo will not update them. You can update your group profile photos individually and will see your account profile photo as an option when you upload a new photo. The recommended ratio is 1:1. For example, a square 200 pixels high by 200 pixels wide photo. Photos must be in JPEG or PNG format and under 10MB. Click on your circular profile button. Upload a new photo or pick from your existing profile photos. From the Home tab, tap your circular Profile button. Select Change or the Camera beneath your current profile picture. Tap the checkmark or Save to confirm. Navigate to the group homepage. Select Manage group or You’re a member. To update your email address, log in to Meetup on a desktop browser. Navigate to your Settings page. Click edit next to your email address. Enter your new email address and password. We will send a verification email to your new email address confirming the request. Please follow the instructions in the email. Learn more about changing your email address if you can’t log in. If you registered your account through Google or Facebook, you’ll need to create a Meetup password before changing your email address. Navigate to the password reset page. Enter the email address you use for Google or Facebook. Click Submit and you will receive an email with instructions to create a Meetup password. Once you create a password, you can update your email address following the instructions above. When you sign up for Meetup or log into your existing Meetup account with Facebook, your Facebook account automatically connects to your Meetup account—whether you register from the Desktop website, Mobile website, or Meetup apps. When you connect your Facebook account, you will be sharing your activity with your Facebook friends. You can change this setting from the Desktop website. - Allows us to notify your Facebook friends when you join a new Meetup group or RSVP to an upcoming event. Note: Your Facebook friends will not be told about private groups you join or private events you RSVP to. It's currently only possible to connect your Facebook account and Meetup account on Desktop Web. You can remove the connection between Facebook and Meetup by following the same steps. If you receive an error message while trying to link your accounts, please contact us by clicking 'Still need help?' below. Please include a link to your Facebook profile. Note: You can only connect a personal Facebook account to Meetup. You can't link a Meetup account to a Facebook group or page. It must be connected to a personal Facebook account. Connecting your Facebook and Meetup accounts is not the same as simply displaying a link to your Facebook profile on your Meetup profile. If you'd only like to link to your Facebook account, you can find more information here.